HydraNet is a leader in easy-to-use web-based CRM solutions. Our flagship product, CRM-gx, is used by hundreds of companies around the world to improve customer loyalty, increase marketing effectiveness, improve sales productivity, drive revenue growth and reduce the cost of customer service. Building an easy-to-use web-based platform which combines all the functionality you need to run your business. Industry gurus talk about CRM, SFA, ERP and SCM, but this is alphabet soup to most management. Businesses need real solutions to real problems, and most can't afford to spend $2 million dollars building a unified platform to handle customer database management, customer support and issue tracking, employee management, financial reporting, inventory management, and invoicing. HydraNet provides that in a single, inexpensive managed solution that is web-based, easy-to-use, and accessible from anywhere. Our goal has been helping all businesses, large and small, take advantage of technologies that have traditionally only been affordable to the largest Fortune 500 companies. Technologies that enable true 1-to-1 marketing, upselling, and cross-selling. Tools that help build customer loyalty, increase staff productivity, and drive revenue growth. The HydraNet team has been developing and hosting web-based applications for businesses since 1998. 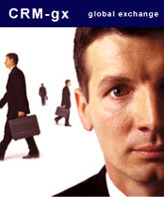 CRM-gx was originally developed in early 2001 for a client in Tokyo, Japan who wanted a system to manage his customer database. The client was so pleased with the product he raved about it to all his friends and soon we had a mini-stampede of companies who wanted to try CRM-gx. The product has gone through tremendous refinement since then and is much more sophisticated and powerful than the first version we released in 2001. However, the basic priciples behind the product have never changed: CRM in 5 minutes a day. Today, the solution is available to anyone with an internet connection and a browser. HydraNet manages the solution entirely, which translates to zero IT costs, no software to install, no need for upgrades, and no management hassles for our clients. Our management and engineering teams combine experience from top firms in areas as diverse as e-commerce, finance, securities, banking, manufacturing, and information services.